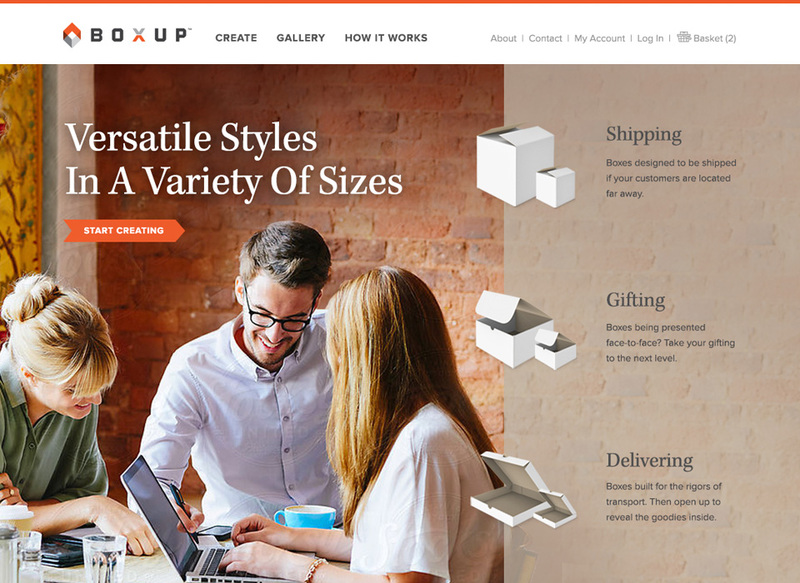 BoxUp is an online store that uses custom-printed corrugate packaging technologies to create original and inspired ideas for small businesses and individuals. 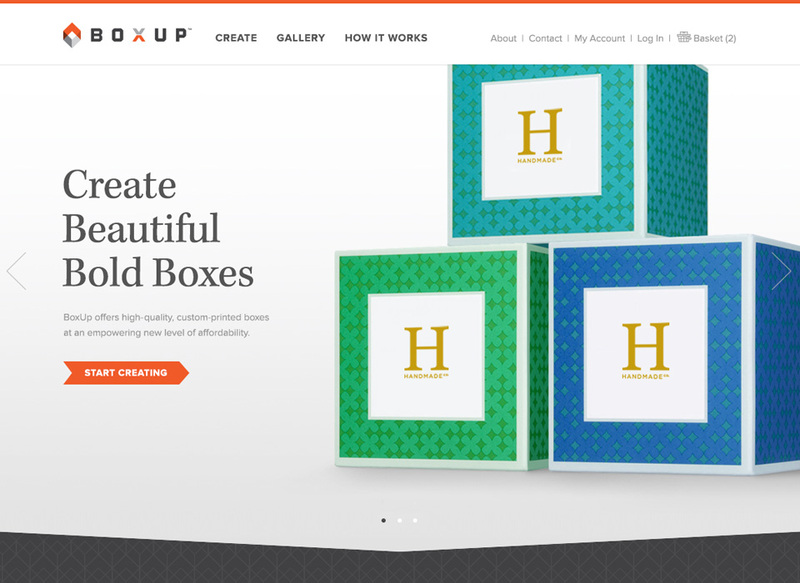 BoxUp specializes in high quality short-run custom-printed boxes at an affordable price. 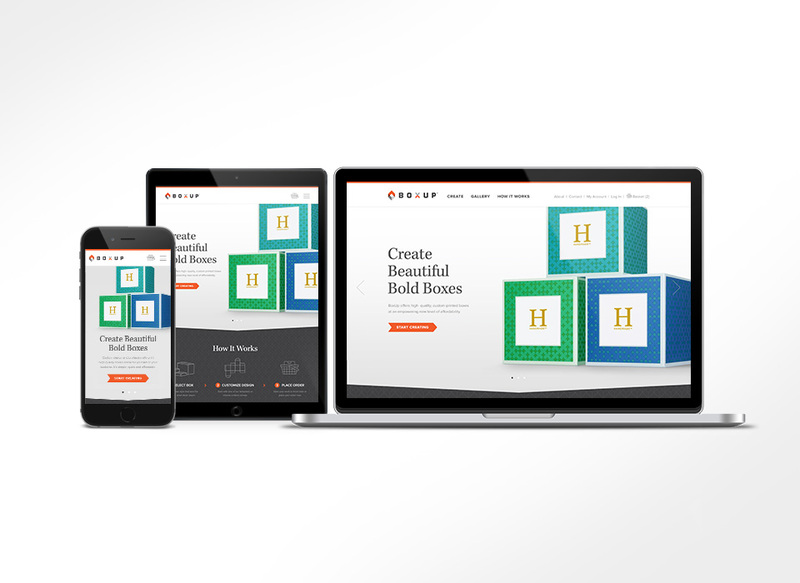 MJ Kretsinger designed the ecommerce website to be responsive and leveraged the brand colors to deliver a clean, contemporary site design that speaks to the target market. 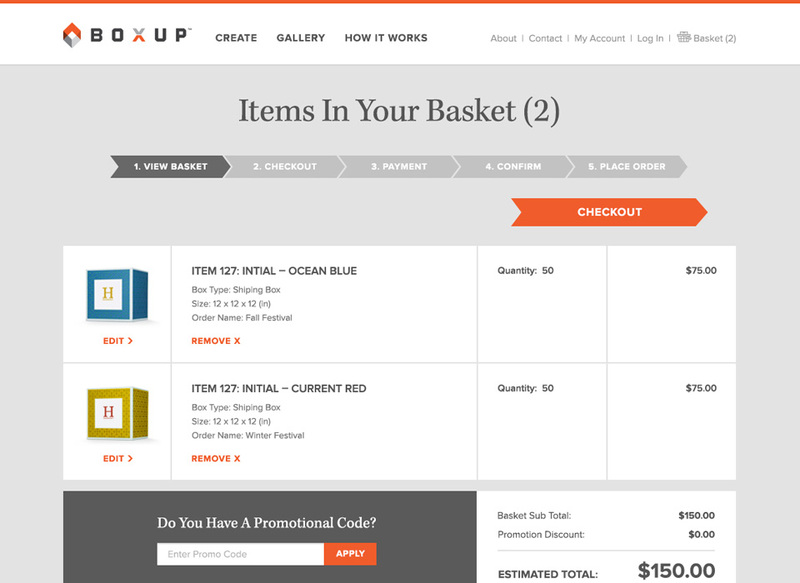 The user-friendly website allows individuals to order boxes that come in a variety of styles, sizes and designs. 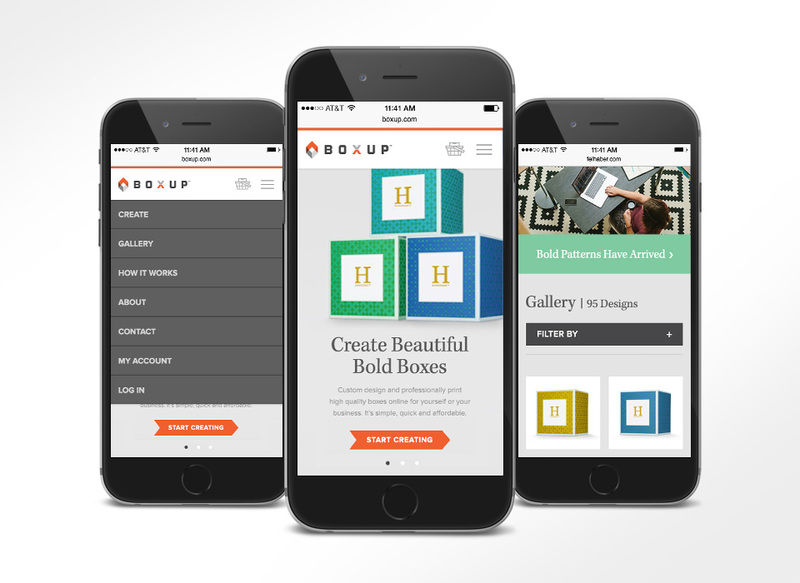 Additionally, users can create their own design from scratch by uploading logos, photos, fonts, colors and much more. 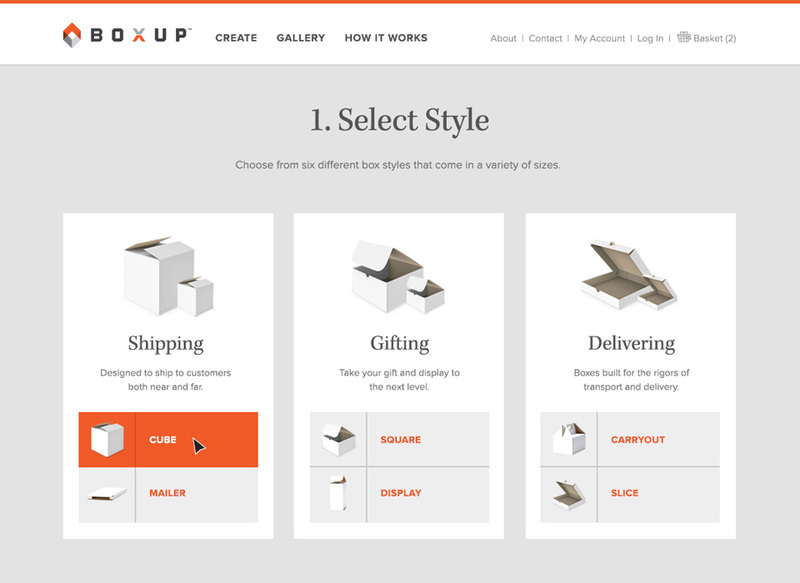 The homepage includes a quick overview of the box design process, featured designs from the gallery and a number of customer stories. 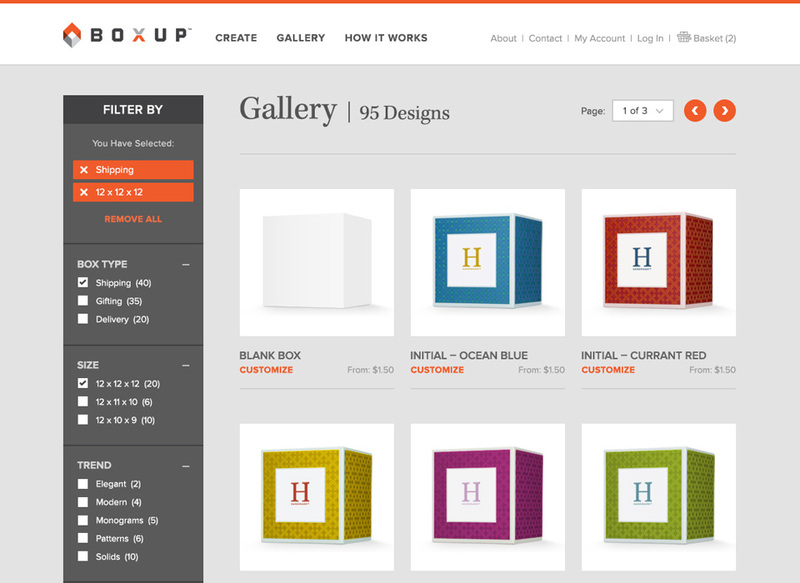 The box design gallery allows users to filter designs from a handful of categories including box type, size and color. 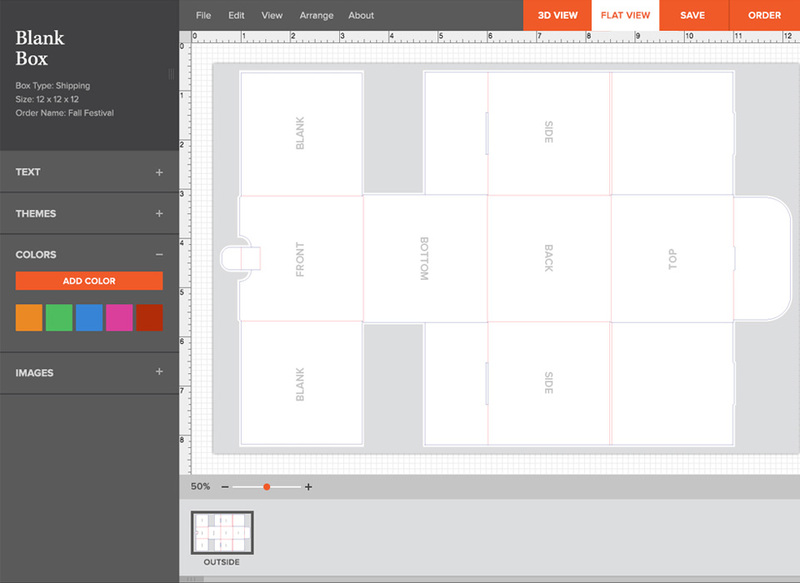 The online editor gives individuals the ability to create their own design from scratch or modify any of the existing preset designs. The my account section of the site enables users to save their designs, view past orders, and upload images for use in their designs. Sticky navigation is used to keep navigation accessible as the user scrolls through the site.